2017 has been a year of ambitious statements and big visions in electronic music, with Louis Carnell’s Ninja Tune label mates Forest Swords and Lapalux both releasing albums which were on its fringes aurally, but through boldness and a lack of compromise bridged the gap between art and idiosyncrasy. Visionist’s 2015 debut ‘Safe’ charted the flow of an anxiety attack, in the process opening up a personal discussion on mental health few were publicly happy to contribute to. 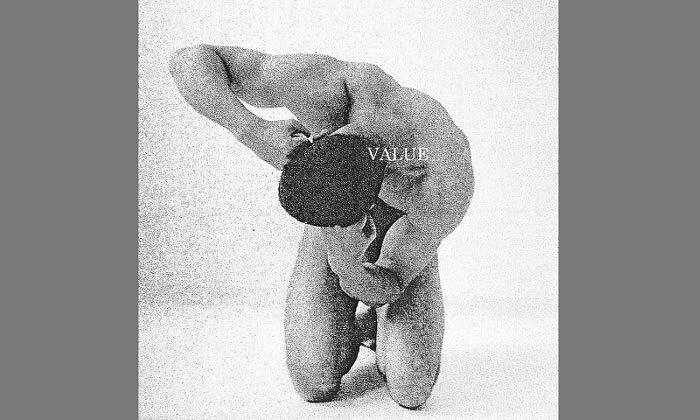 ‘Value’ continues with the perspective of intimacy at its core, but explores a far wider range of themes. Opener ‘Self-‘ feels like a little collision of these things, stabs of white noise and chaotic scales, tumble-down processed voices spiralling through a series of unstructured flash-feelings, the nano-melodies and breakdowns like a fevered conflict. Carnell has spoken in the past of the sanctity of the human voice, of its ability to survive almost any mangling and retain organic traces. Here it forms part of soundscape that reminds us on the inside of almost anyone’s mind there are things which feel rough, lonely and unpretty, depths embodied via the abrasive snarl of ‘New Obsession’, or the title track’s industrial anger and confusion. He also believes in giving a part of himself to his music, but under these staccato bursts it’s hard for the listener to take it, like a present wrapped up in the glue which holds sanity, normalcy and hope together. The antidote to this muddied set of conditions is almost certainly in simplicity, in routine, in familiarity. To this end, ‘Made In Hope’ offers relief; a simple, rolling piano motif only occasionally answered by technology, its purpose is to help climb down, whereas ‘High Life’ moves from the sepulchral to the dramatic, back and forth like some sort of laser guided bomb which can’t decide which target to lock on to, one moment buzzing with destructive purpose, the next alone and unfulfilled. If this sounds complex and interpretative, it’s because ‘Value’ quite consciously is, leaving it’s consumers with a set of riddles of which the content is often immaterial, sometimes playful, frequently cut and pasted together in odd collages. Carnell as a producer rarely takes the easy option in expressing himself, evaluating his place in the performer-industry cycle as one in which the expectations are less of burden if they remain opaque to both parties. Clearly there is enormous bravery in taking this approach, one that may give people such few places to turn for reassurance. It would equally be untrue to suggest that ‘Value’ represents anything other than a jumbled mass of ideas, sometimes relateable – at least peripherally – sometimes bound up in its creator’s own syntax and meter, like a display of pyrotechnics being viewed from behind thick clouds of doubt. In a year when the borders between everything have become either more physical or less than nothing depending on your perspective, few other records will attempt to map the contours of this new mind-topography. But if you’re looking for directions, you may find yourself lost with a riddle that looks so decidedly inward.